Jack Hays was born 28 January 1817 at Cedar Lick in Wilson County, Tennessee. By the age of fifteen he had moved to Mississippi and began to learn surveying. By mid-1836 Hays was in Texas where he joined a Ranger company under Erastus "Deaf" Smith. He took part in a skirmish with the Mexican Cavalry and assisted in the capture of Juan Sánchez. He was appointed deputy surveyor of the Bexar District. Hays combined his knowledge of Indian warfare with his rangering. In 1840, Hays was appointed a captain of the Rangers. He proved himself to be a fearless fighter and a good leader of men. His Ranger companies, often mixed groups of Anglos, Hispanics and Indians, engaged in battles and skirmishes with both the Comanches and other hostile Indian tribes, as well as Mexican troops, throughout the early years of the 1840s. Hays and his Rangers were involved in important actions at Plum Creek, Cañon de Ugalde, Bandera Pass, Painted Rock, Salado, and Walker's Creek. The battle at Walker's Creek marked a turning point in Indian warfare with the first effective use of repeating firearms in close combat with the Comanche.Hays gained further respect as a fighter during the Mexican War. The First Regiment, Texas Mounted Riflemen, under the command of Colonel Jack Hays, served with the army of Zachary Taylor. Hays' men scouted for the army and took part in the Battle of Monterrey, Nuevo Leon, Mexico in 1846. The next year, another regiment under Hays helped to keep the communication and supply lines open between Veracruz and Mexico City for the troops under Winfield Scott. After the Mexican War, Hays left Texas, following the gold rush to California in 1849. He was elected as Sheriff of San Francisco in 1850. 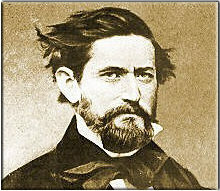 In 1853 he was appointed U. S. Surveyor General for California. He was one of the developers of Oakland, and held interests in land, banking and utilities. In 1876, Hays was a delegate to the Democratic national convention. Hays died 21 April 1883 and was interred in the Mountain View Cemetery in Oakland, California.